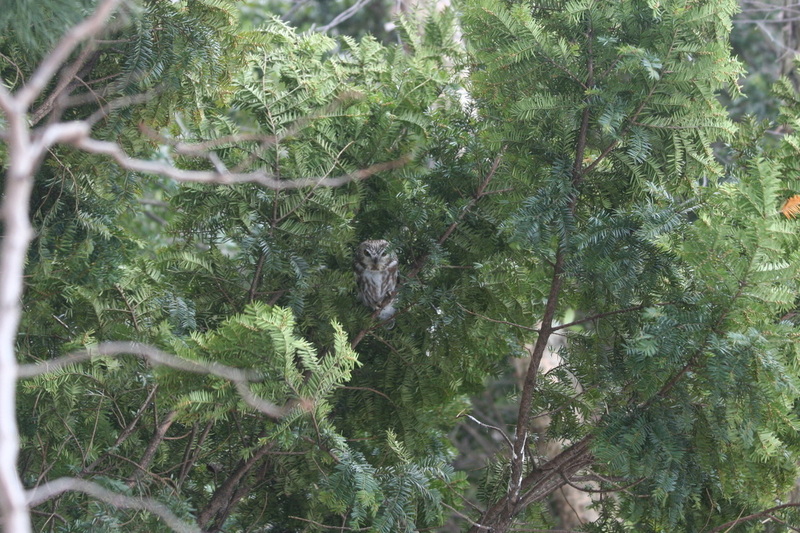 Owls are the hardest birds to find. 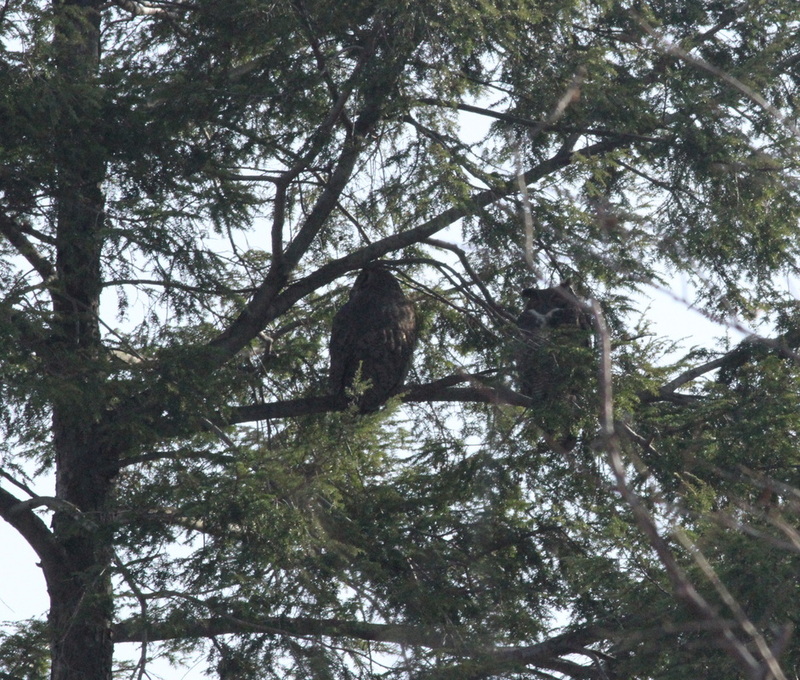 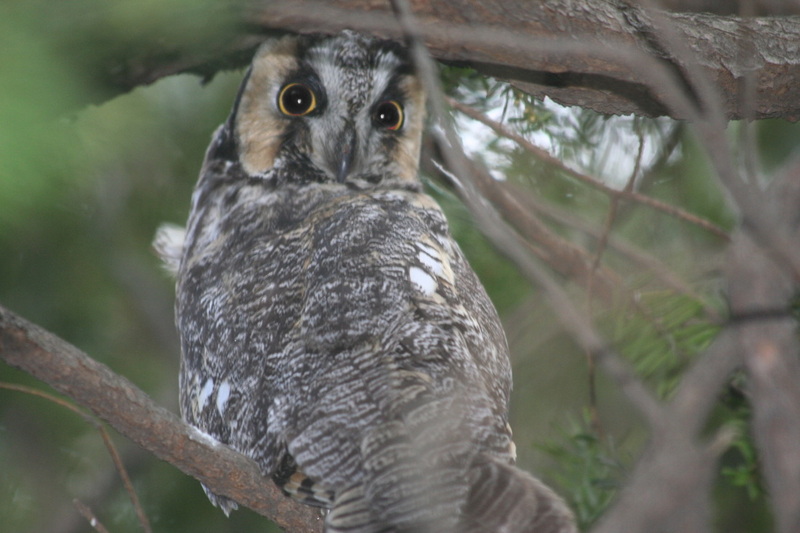 They often roost in dense vegetation or thick pines. 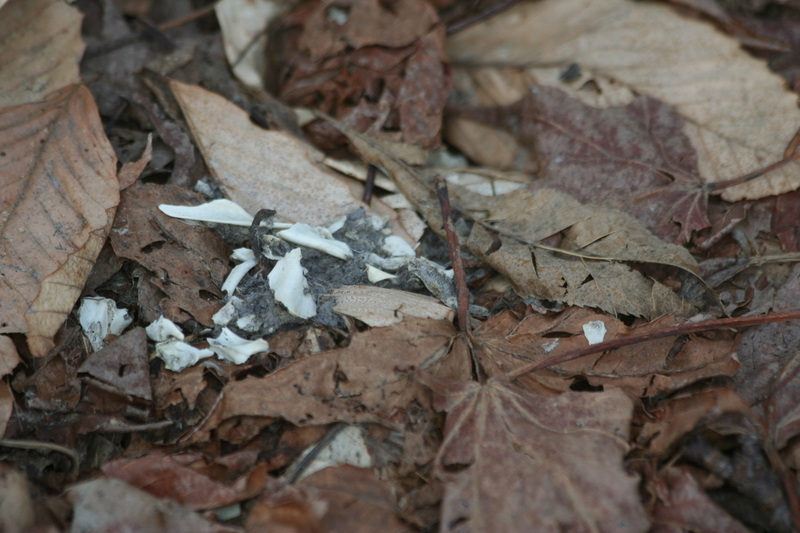 Tell-tale signs of owls include, white wash - their excrement (it actually looks like white paint) and pellets (regurgitated organic materials from their prey such as bone and fur). 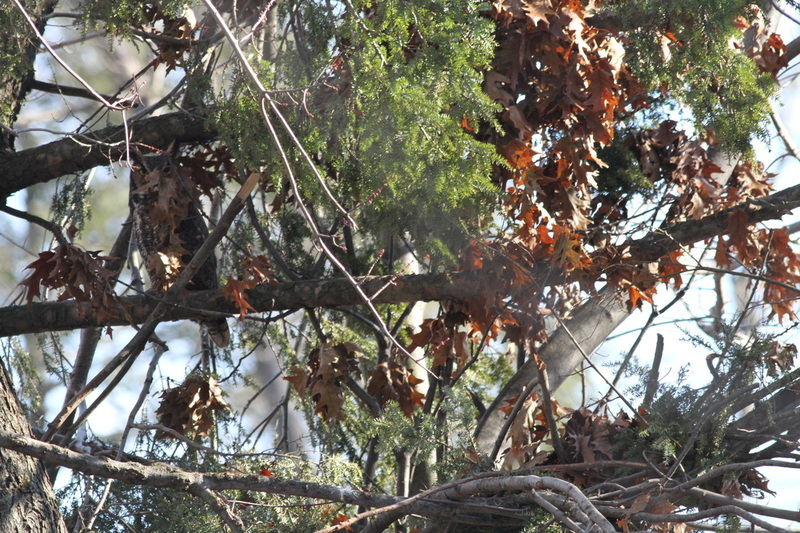 NYBG's Lena and Louis. 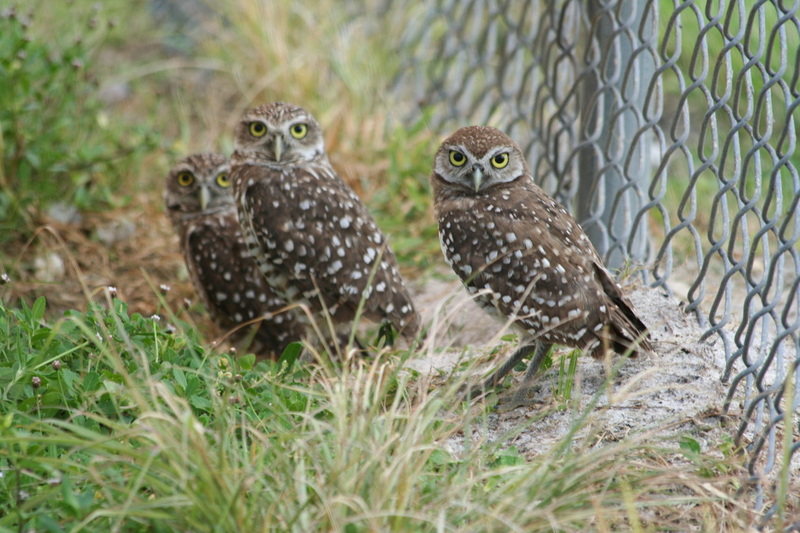 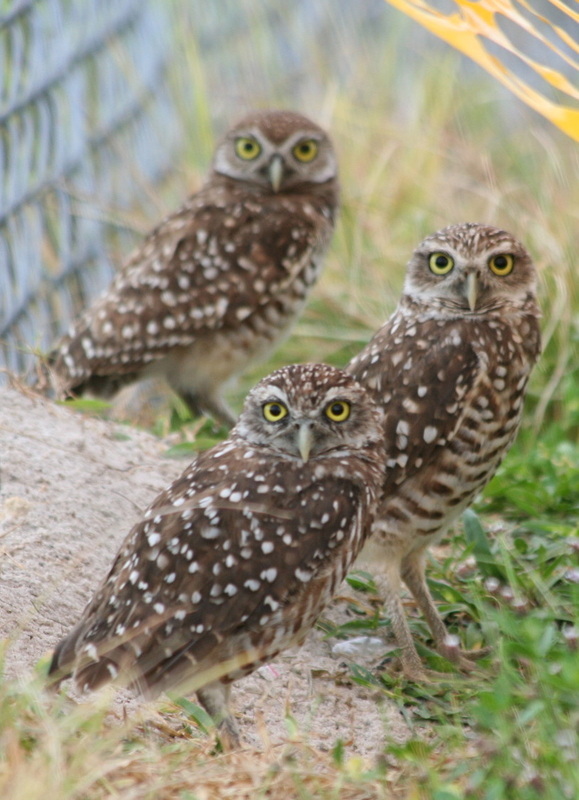 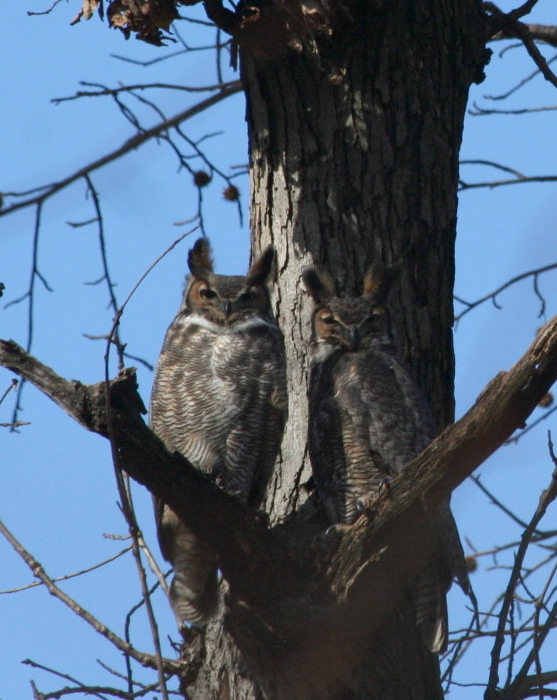 These owls resided in the garden for almost 25 years. 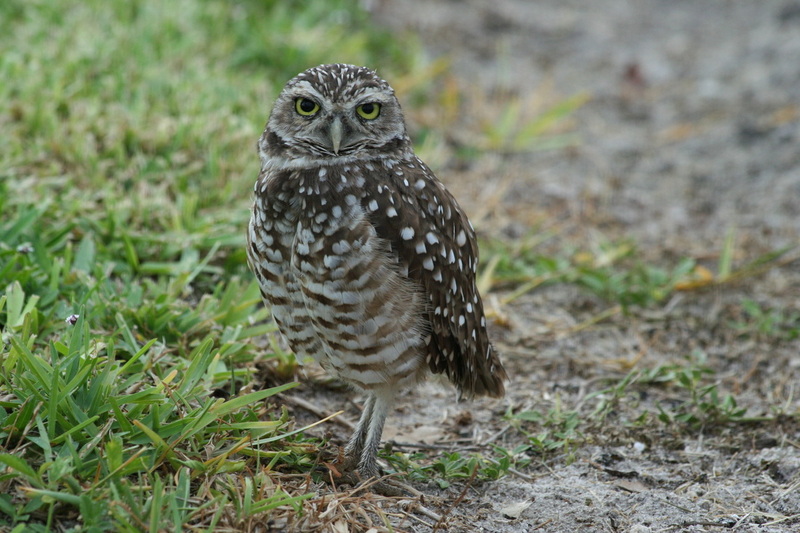 They were notoriously friendly and quite visible delighting birders for years. 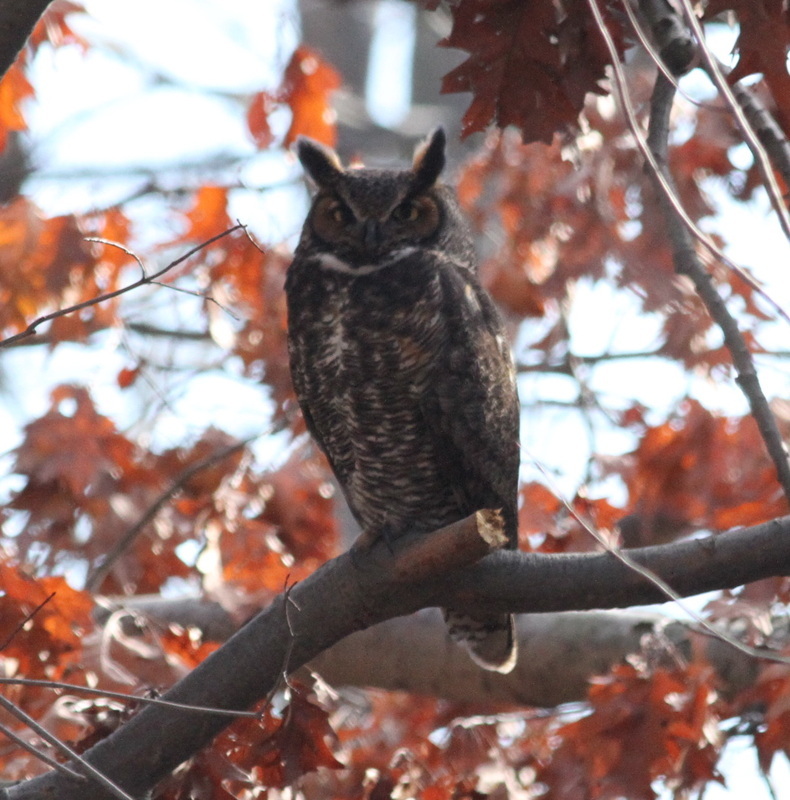 "Cat Eyes" the new addition to the NYBG owls. 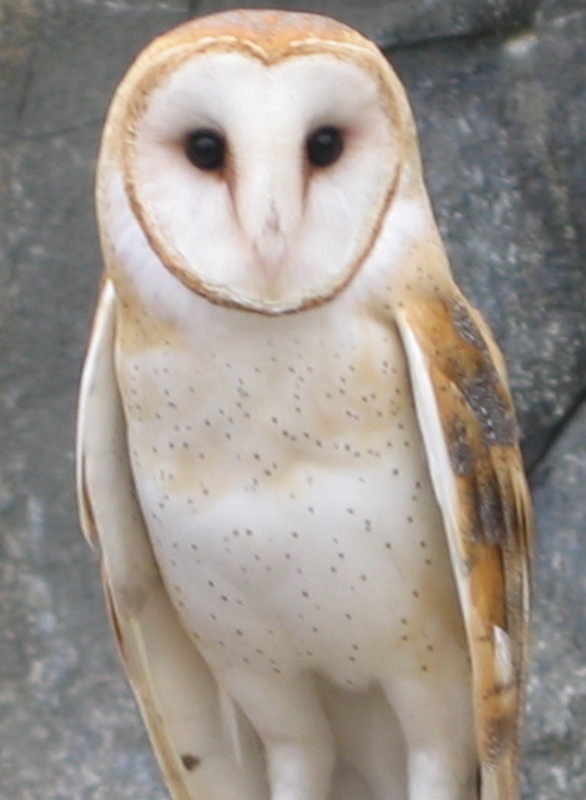 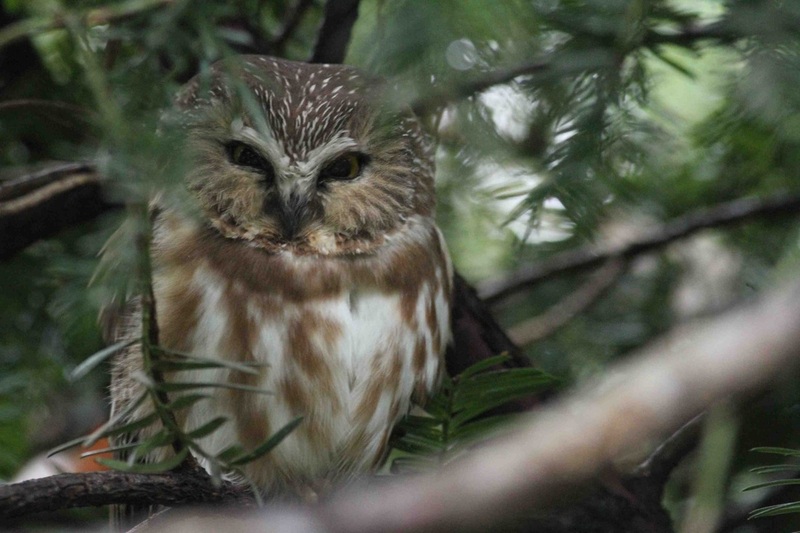 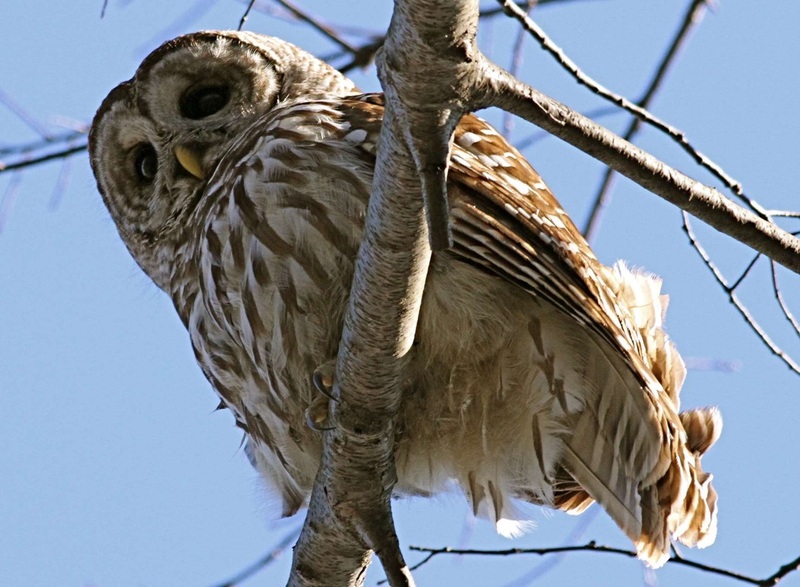 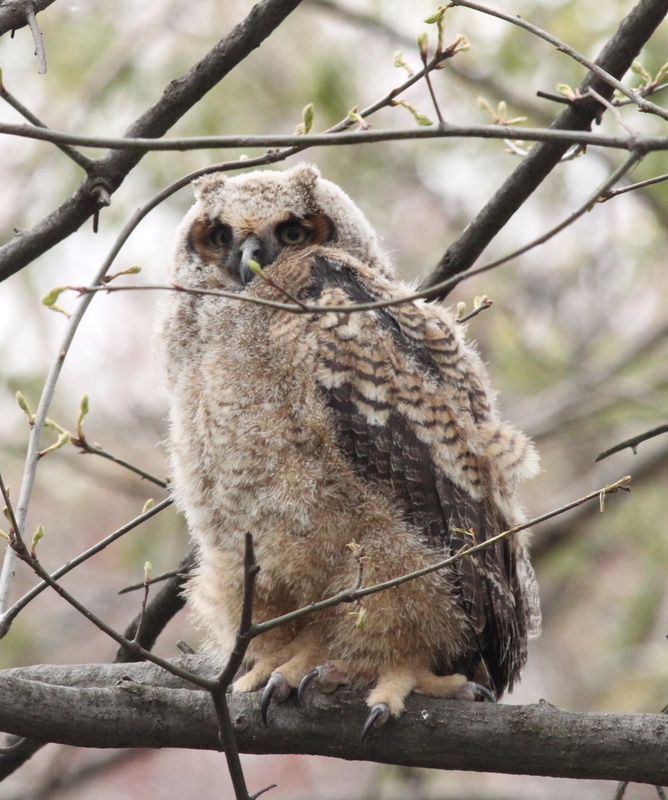 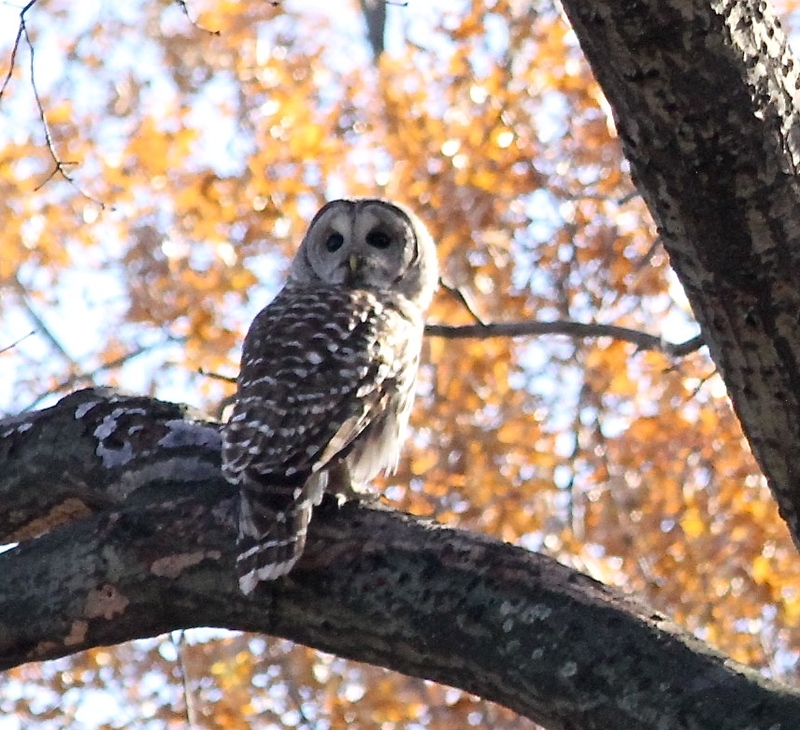 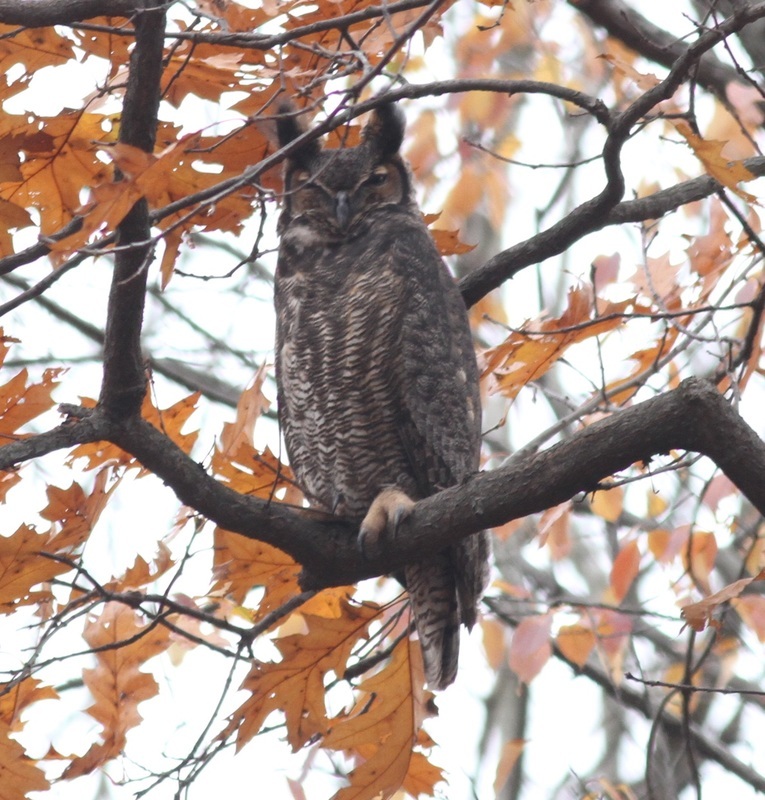 The most requested bird on the Saturday bird walk at The New York Botanical Garden are owls. 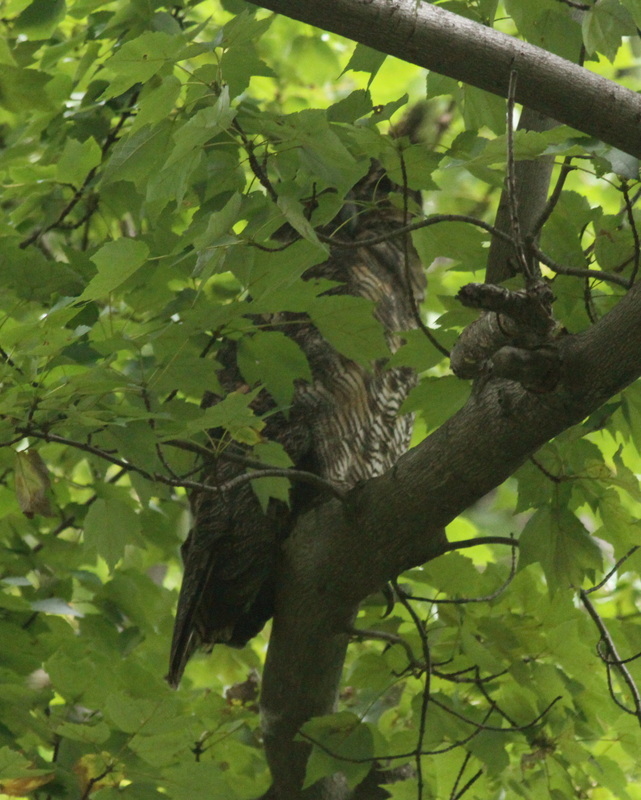 They are the hardest bird to find. 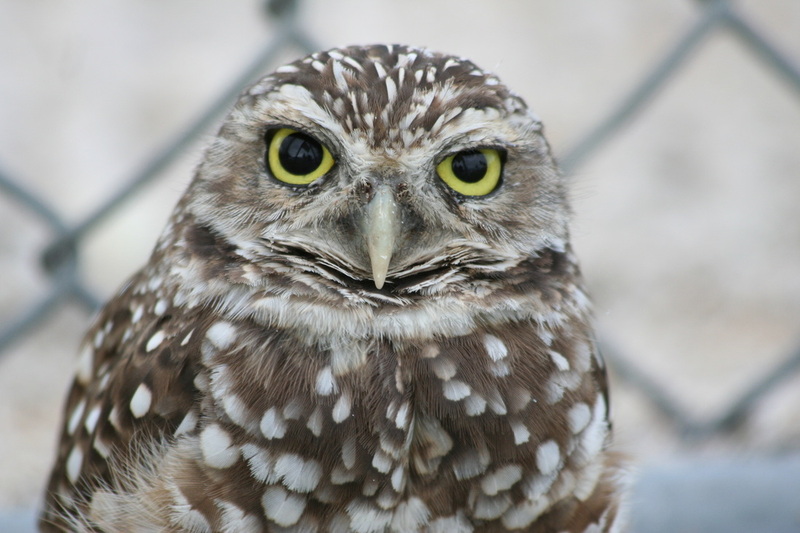 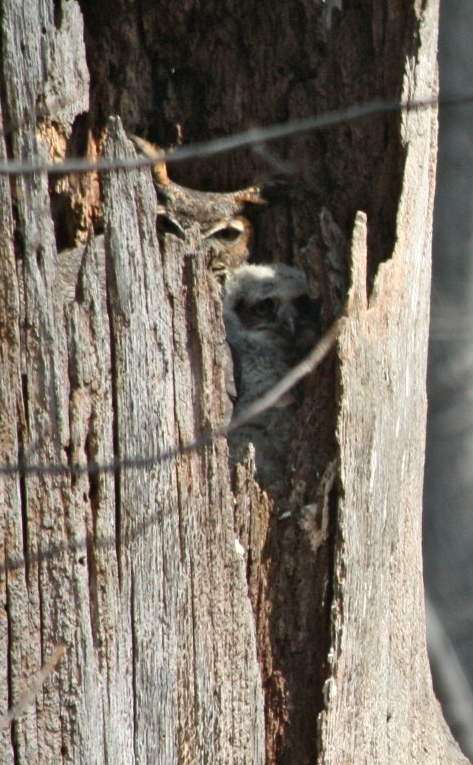 Owls like to hide and finding them can be like looking for a needle in a haystack. 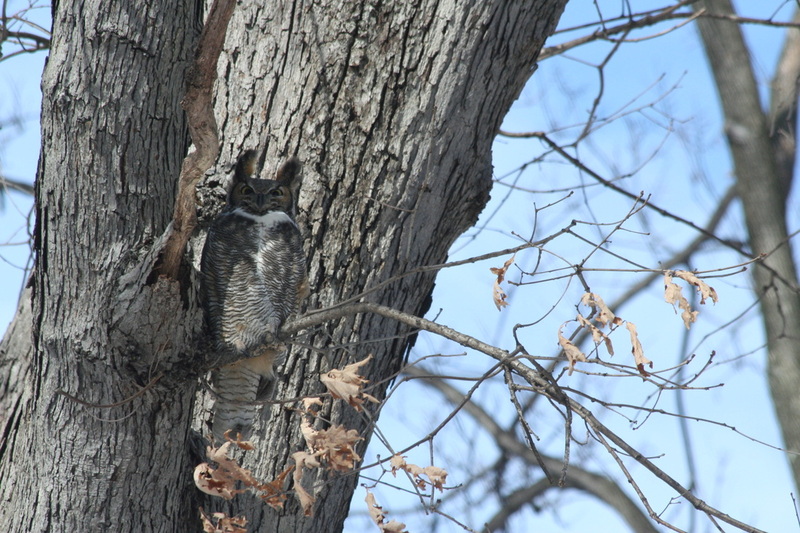 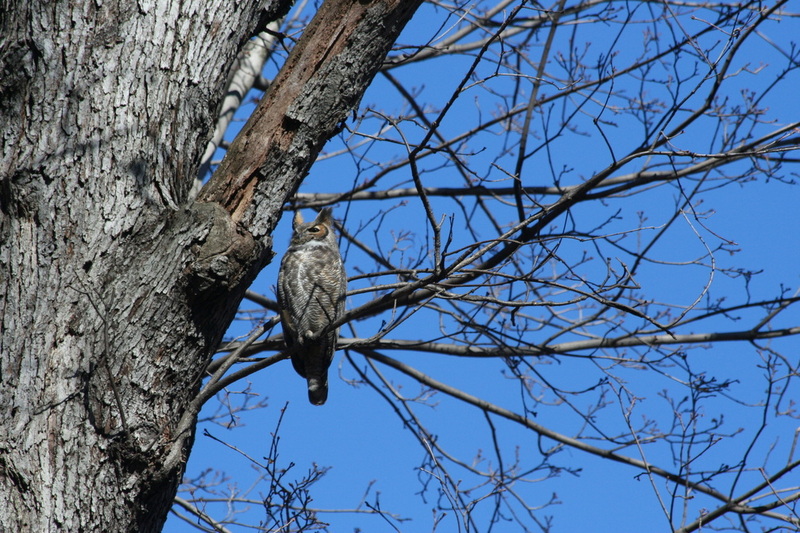 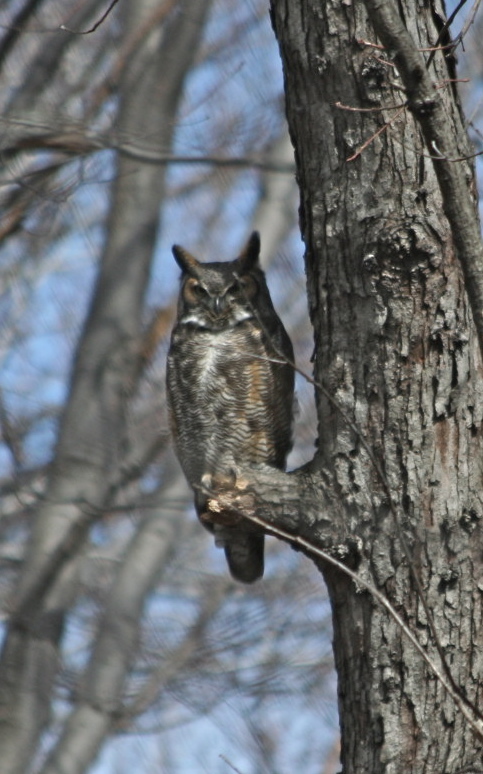 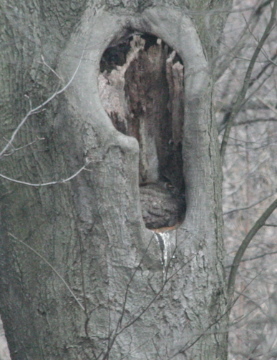 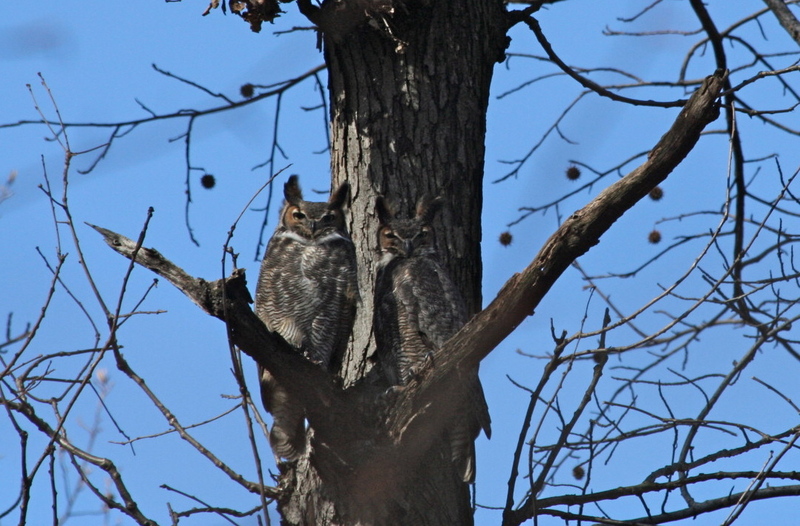 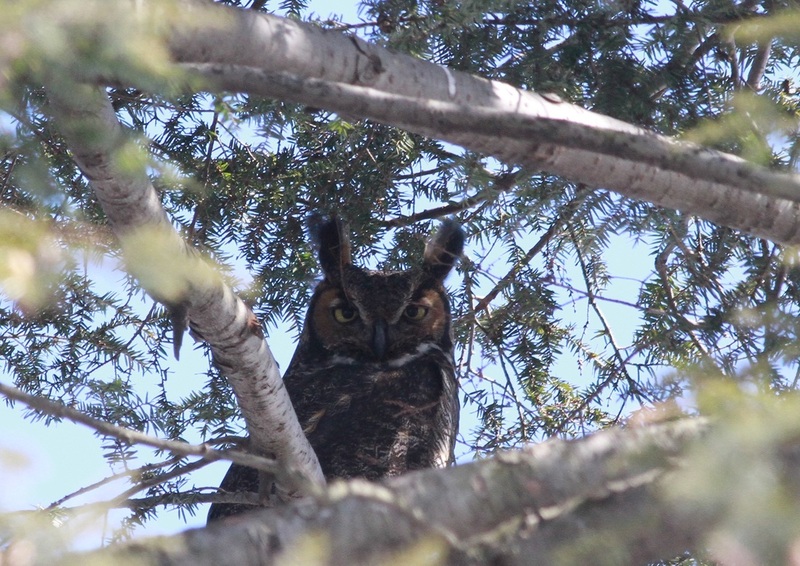 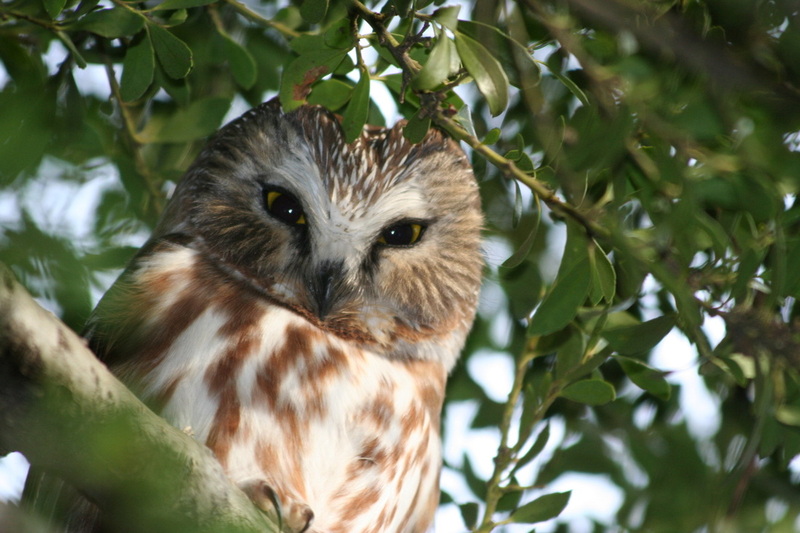 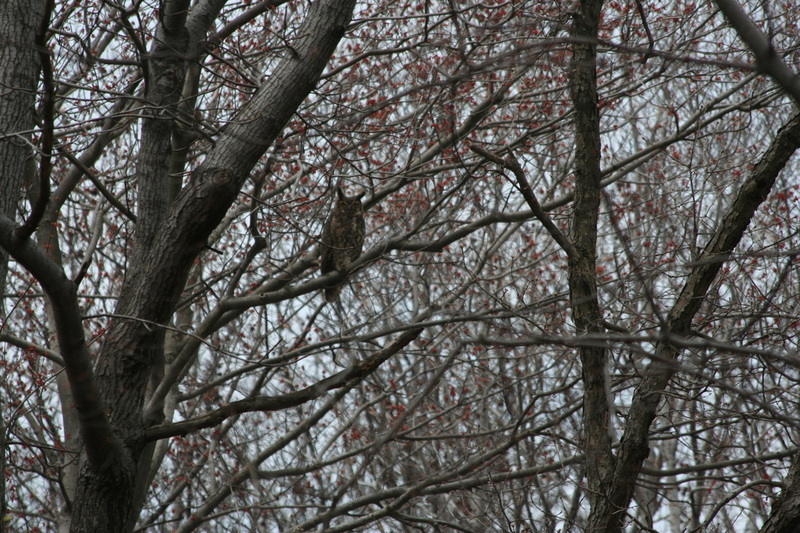 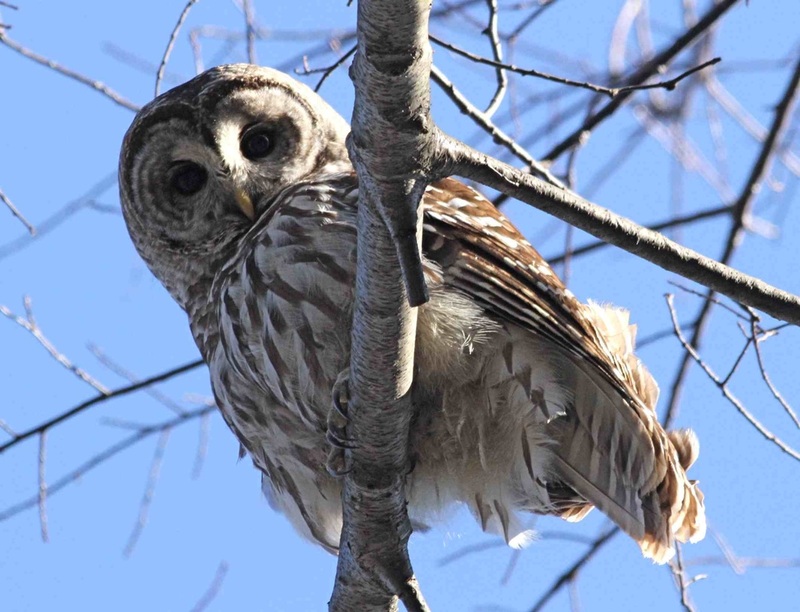 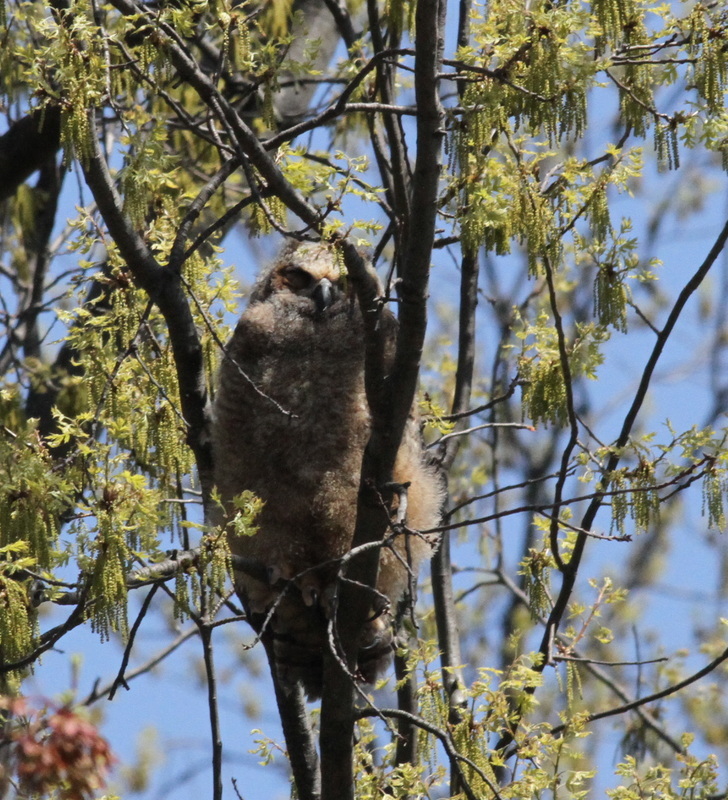 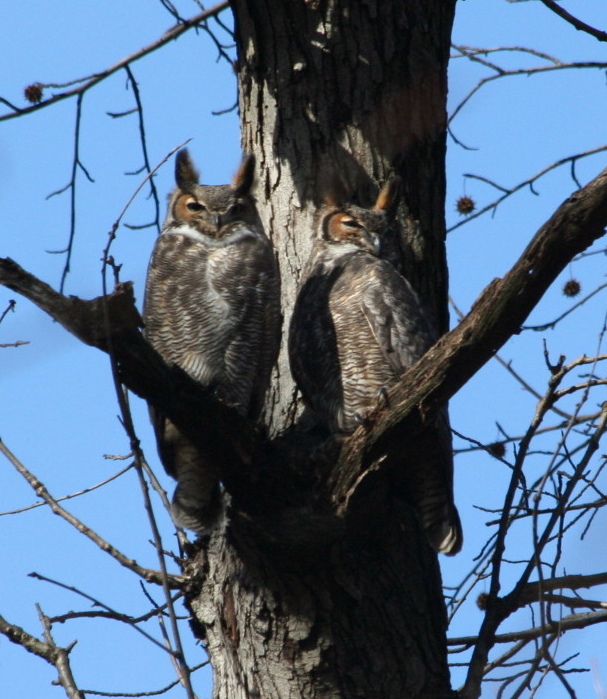 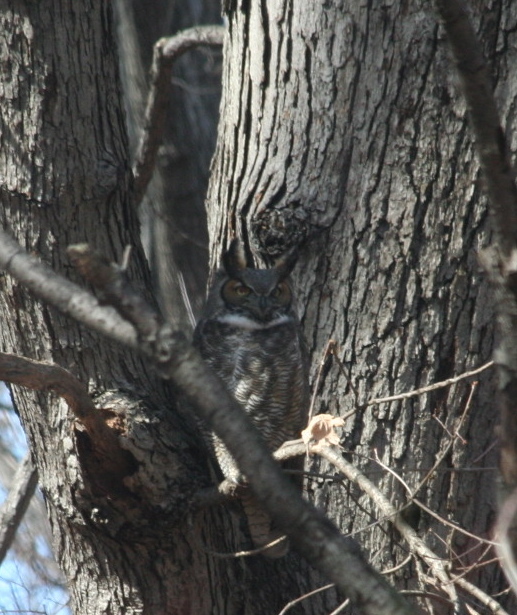 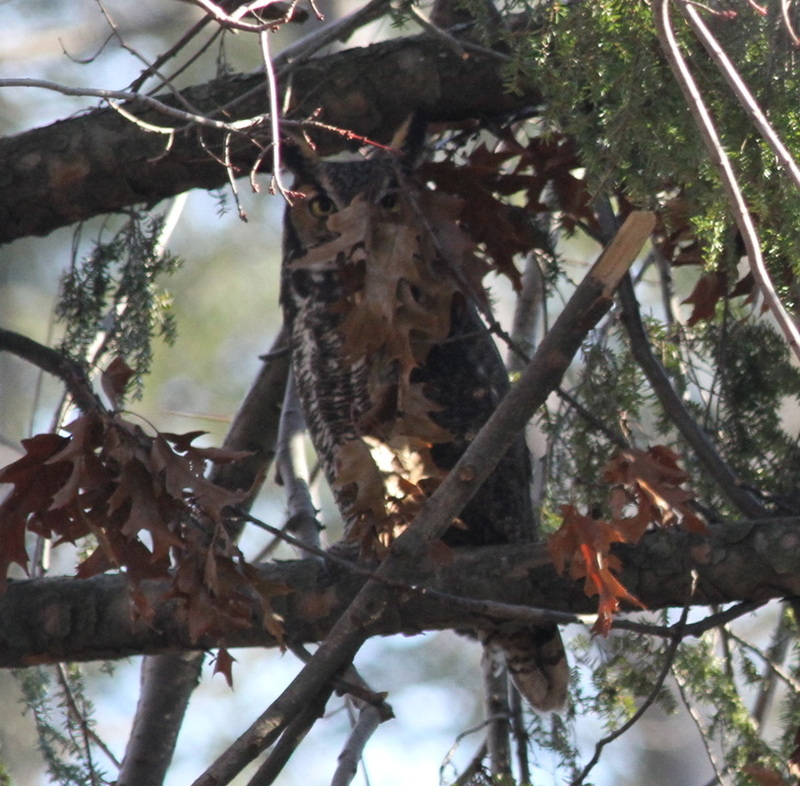 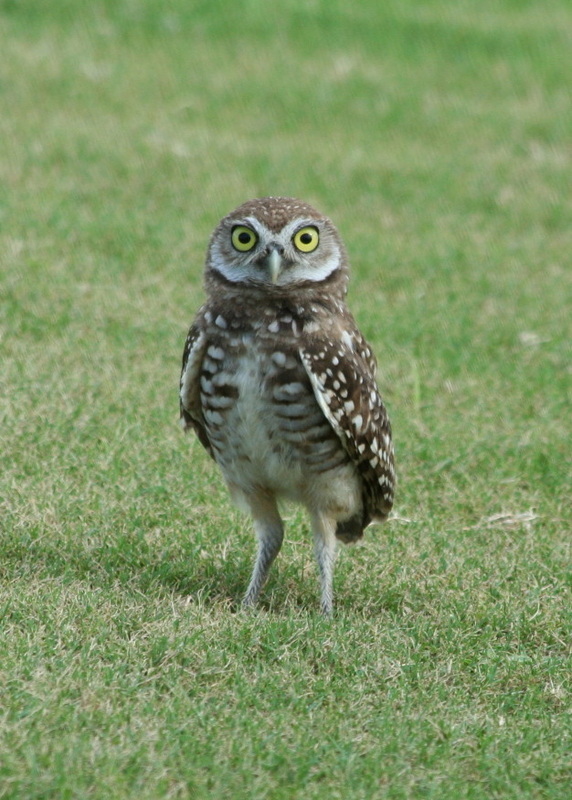 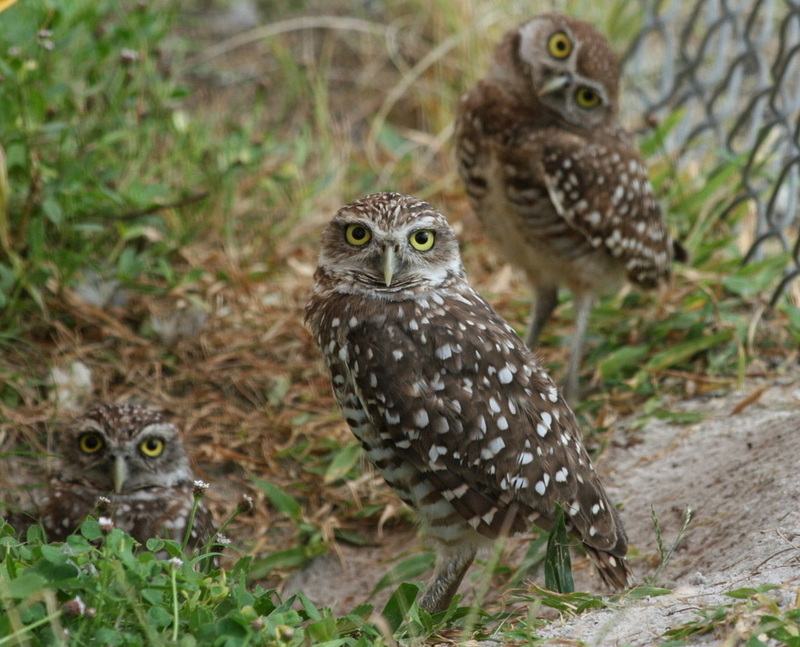 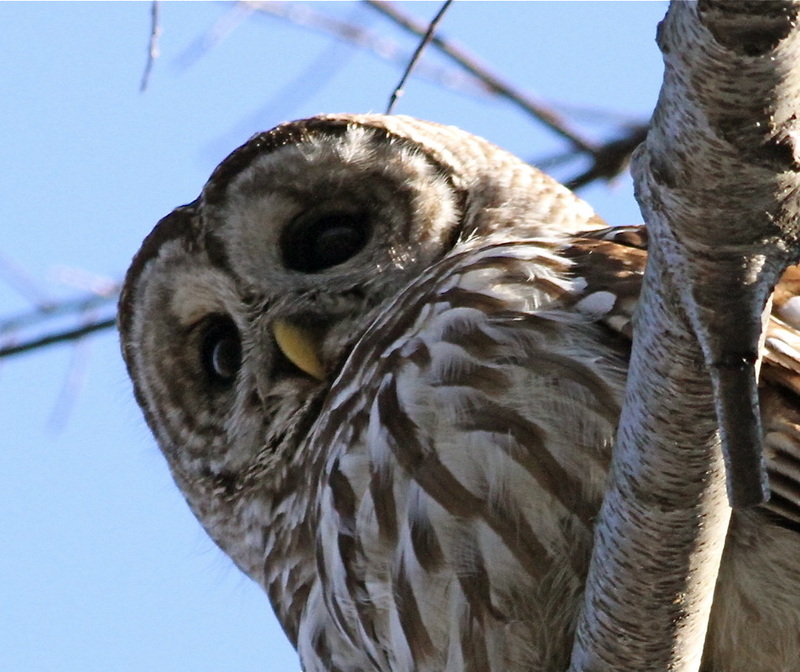 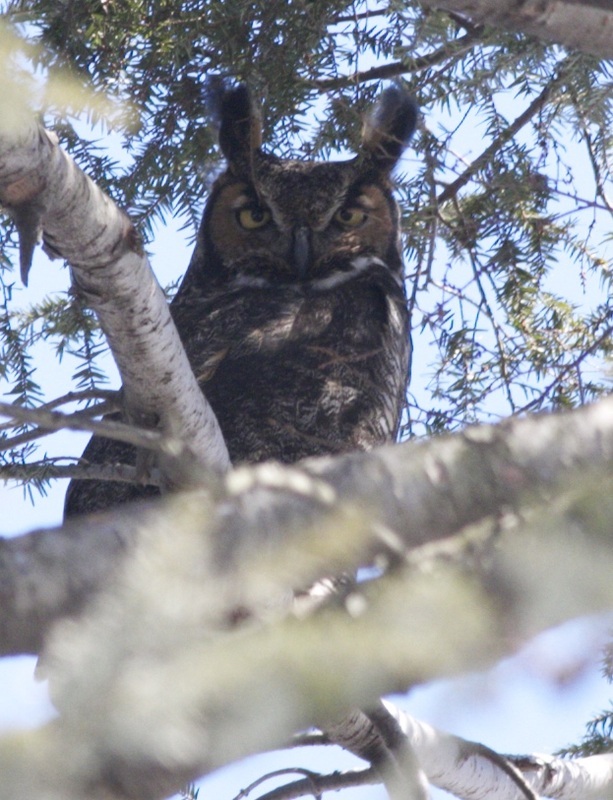 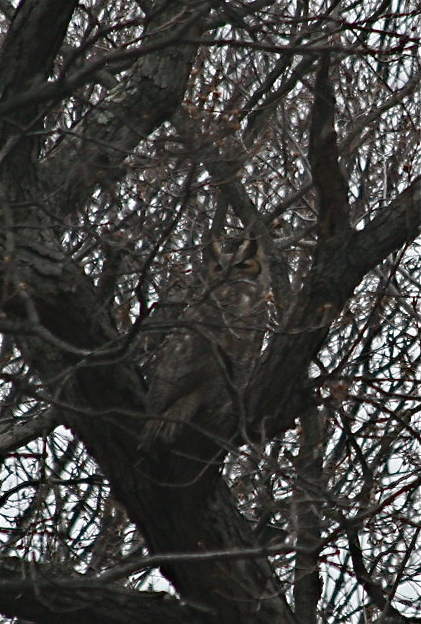 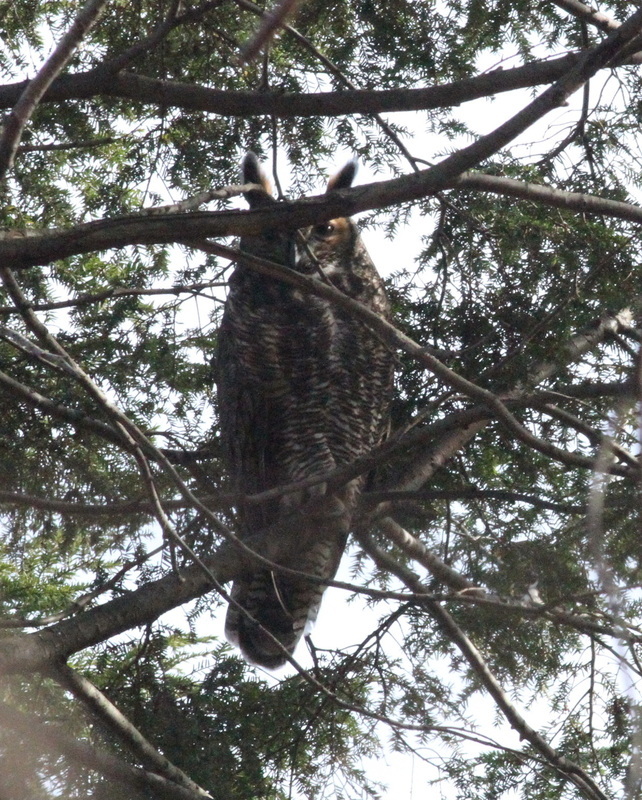 Clues: Resident owls that establish a roost (a tree limb or nook they are most often found) are a bit easier to locate. 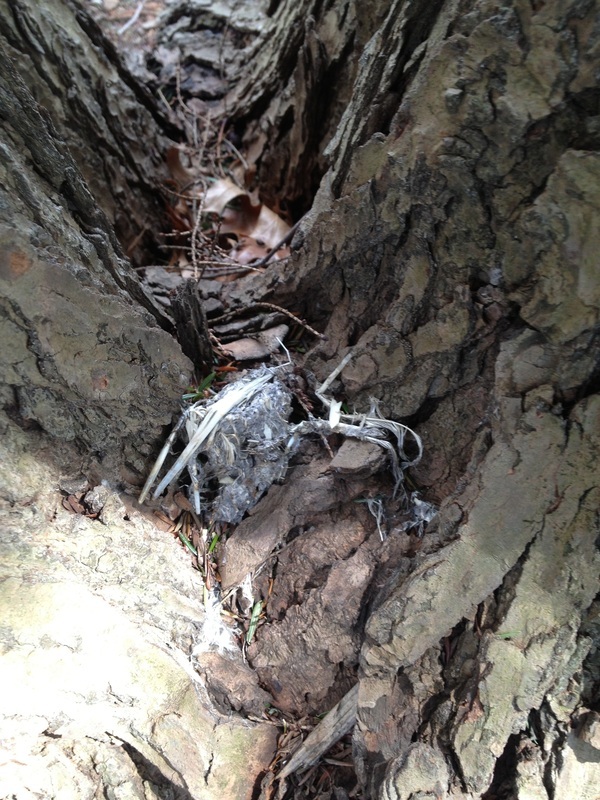 White Wash on the ground or tree limb. 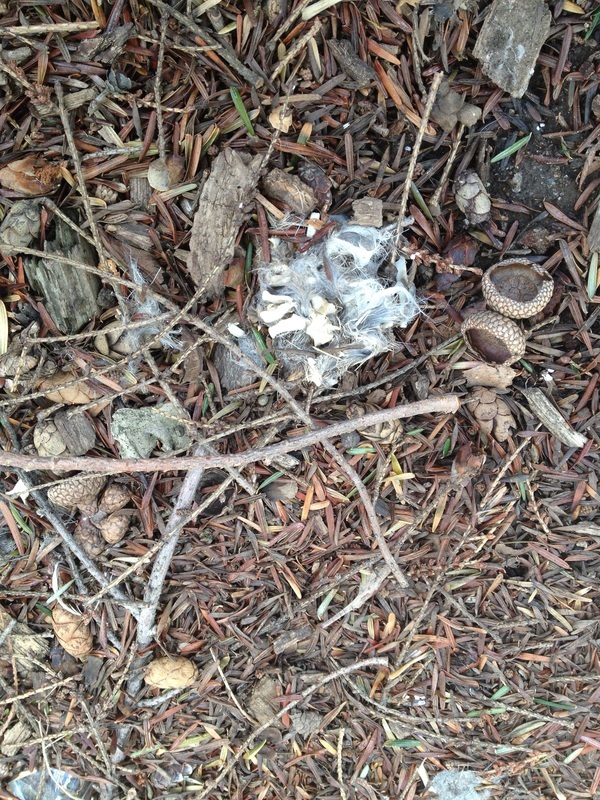 Pellets (bones, fur, teeth, hair, feathers, tails) are pieces of prey that they cannot digest. 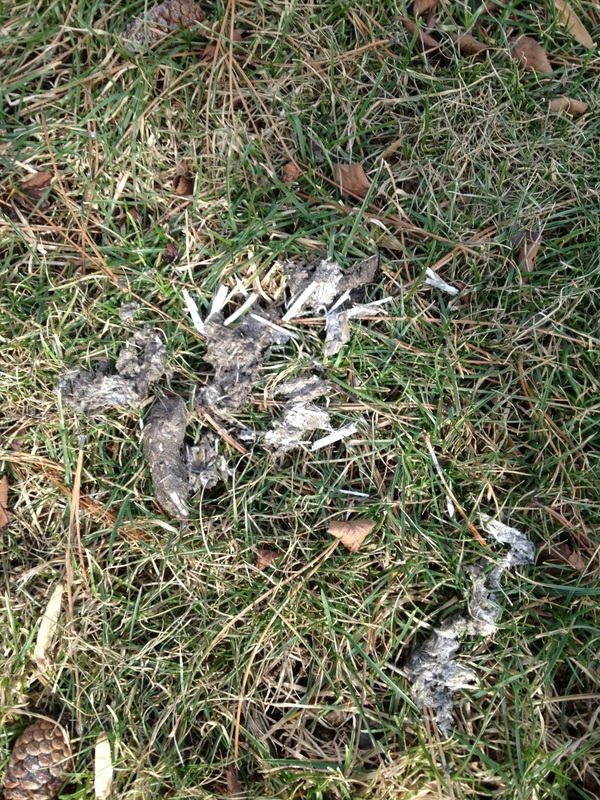 So they regurgitate the matter as a pellet. 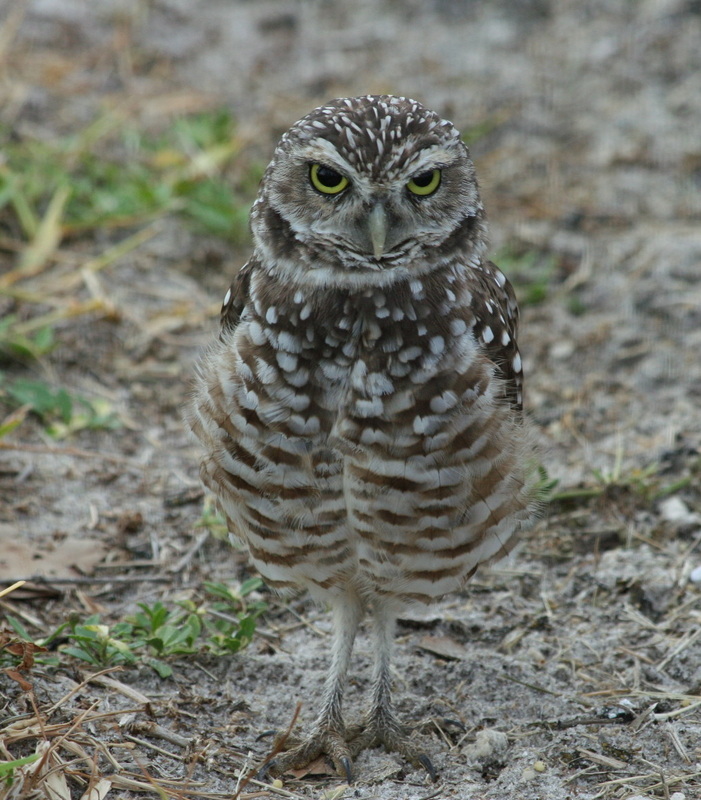 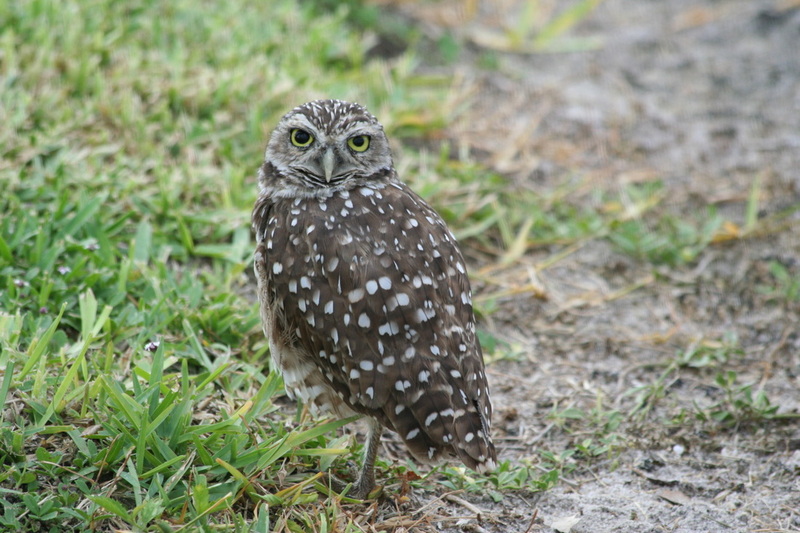 Looking on the ground for pellets will often indicate an owl is roosting above. 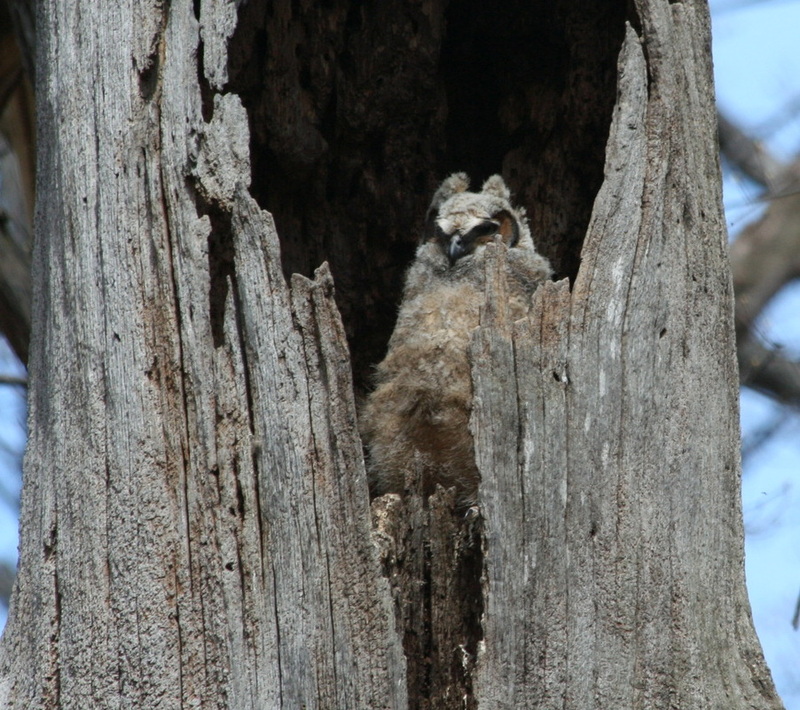 Mobbing- Often smaller birds, such as blue jays or crows will harass or mob a roosting owl, thus giving away its hiding spot.